Camera is one of the most important aspects that we consider before buying a new smartphone. 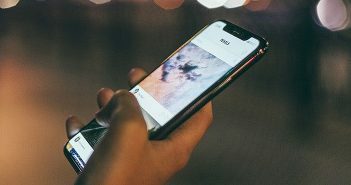 And with the craze for camera-centric smartphones increasing day by day, even smartphone manufacturers have taken the camera game a notch higher. Back in December 2018, Huawei created a buzz for launching a smartphone with a 48MP camera when it launched Honor View 20. And since then, we have seen a new trend of 48MP camera smartphones emerging in the market. Whether it is triple camera mobile phones or dual camera mobile phones, manufacturers have managed to add 48MP camera sensors to these devices. 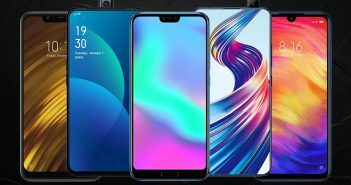 If you are looking for a smartphone and amazing camera specifications is a must-have, then take a look at these 48MP camera smartphones. All these smartphones have launched in the recent months and ensure high-quality images. Take a look! Given below is an infographic which details the top 5 48MP camera smartphones that you can choose from currently. Honor View 20 was the first smartphone to come with a 48MP camera sensor. 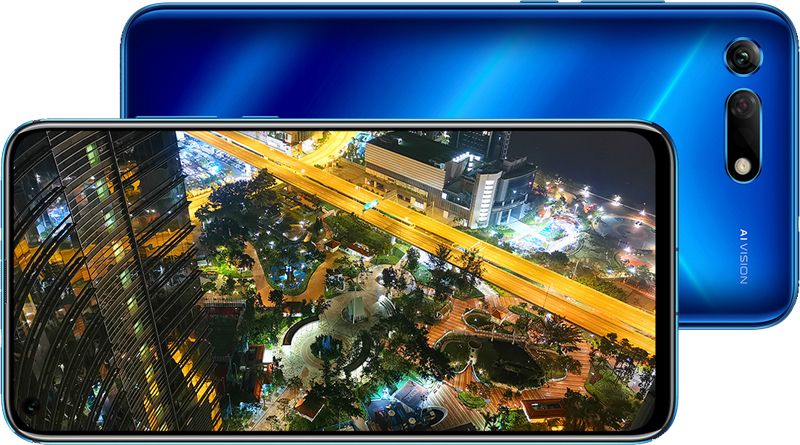 The smartphone features a 48MP Sony IMX586 sensor coupled with a TOF (tie-of-flight) sensor. Apart from being the first 48MP camera smartphone in India, Honor View 20 is also one of the first punch hole display and in display fingerprint scanner mobile phones. On the other end, the front camera features a 25MP camera for selfies. Even the hardware specifications on this smartphone are flagship-like. The smartphone runs on HiSilicon Kirin 980 SoC which is coupled with 8GB RAM. 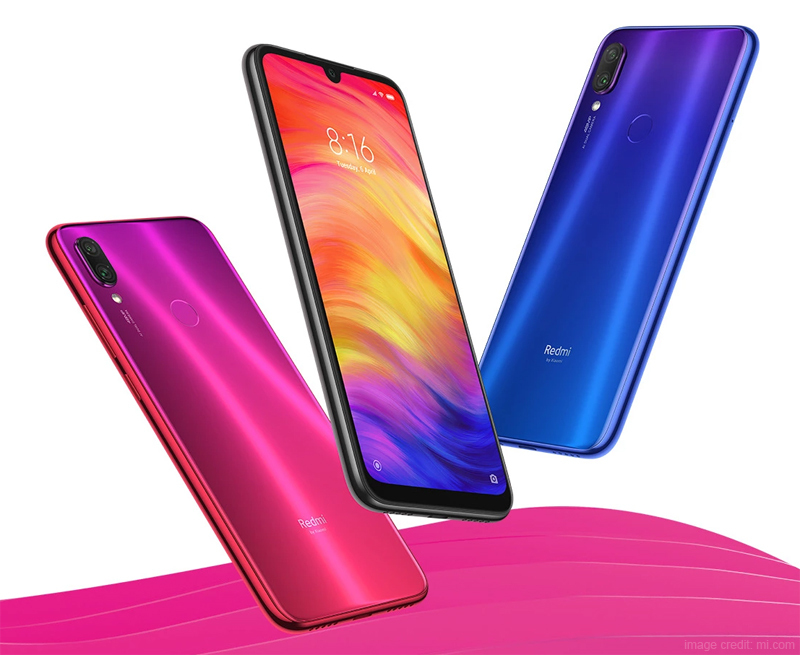 Popular smartphone company – Xiaomi recently launched its Redmi Note 7 Pro smartphone with a 48MP camera. It is the only smartphone below Rs 15000 on our list to offer a 48MP camera. The smartphone comes with a dual camera setup on the rear panel. This setup includes a 48MP primary Sony IMX586 sensor and a 5MP secondary sensor. Additionally, the smartphone also offers a lot of AI features and night mode for capturing well lit pictures even in the dark. 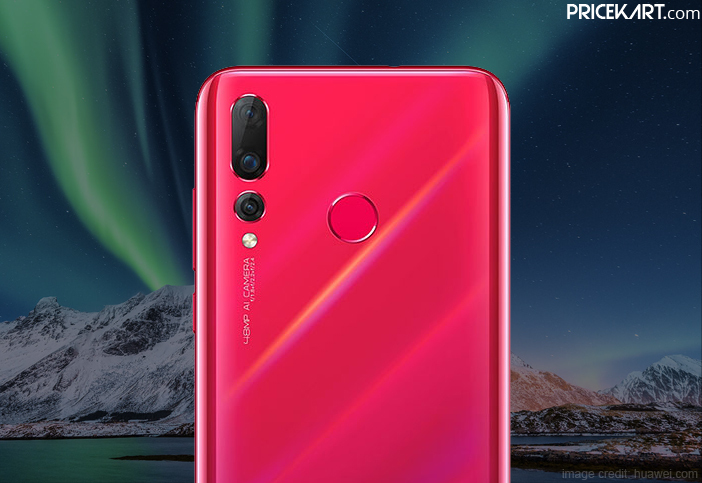 On the front, Redmi Note 7 Pro comes with a 13MP camera. For its power, the smartphone runs on Snapdragon 675 SoC and is paired with 4GB/6GB RAM. 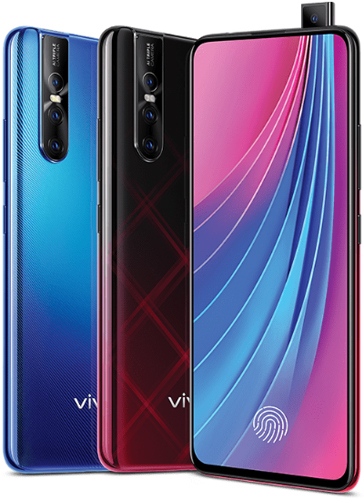 Vivo V15 Pro is one of the triple camera mobile phones on our list. Furthermore, another interesting feature on this smartphone is the pop-up selfie camera. The smartphone comes with a 48MP primary Quad Pixel Samsung ISOCELL sensor, an 8MP secondary sensor and a 5MP tertiary sensor. Pictures taken with this smartphone will not disappoint. Moreover, V15 Pro is also the world’s first smartphone to feature a 32MP selfie camera. So, this also becomes one of the good selfie camera mobile phones. On the design end, the smartphone looks sleek and classy due to a gorgeous bezel-less display. Under the hood, it runs on Snapdragon 675 chipset which is coupled with 6GB RAM. 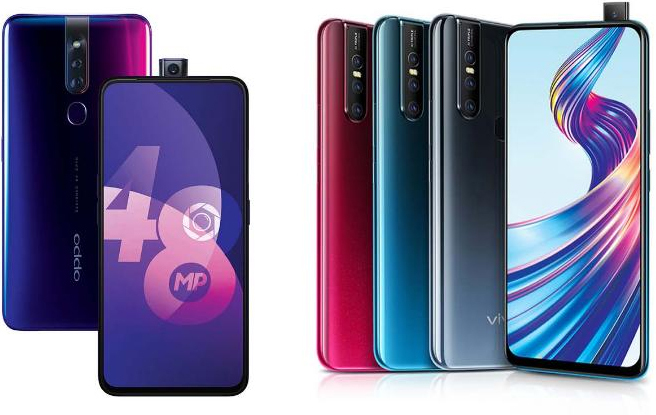 Oppo F11 Pro is another pop-up selfie camera smartphone that made its debut in the recent months. The smartphone has a dual camera setup on the rear panel which includes a 48MP primary Sony IMX586 sensor and a 5MP secondary sensor. On the front, the pop-up camera houses a 16MP camera for selfies and video calling. Along with this, Oppo F11 Pro also supports VOOC 3.0 fast charging. The smartphone runs on Helio P70 processor and supports 6GB of RAM. The last smartphone on our list is the Huawei Nova 4. This smartphone is a lot like the Honor View 20. 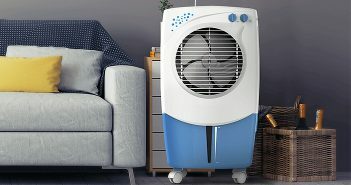 However, it does come with its own set of different features and specifications. 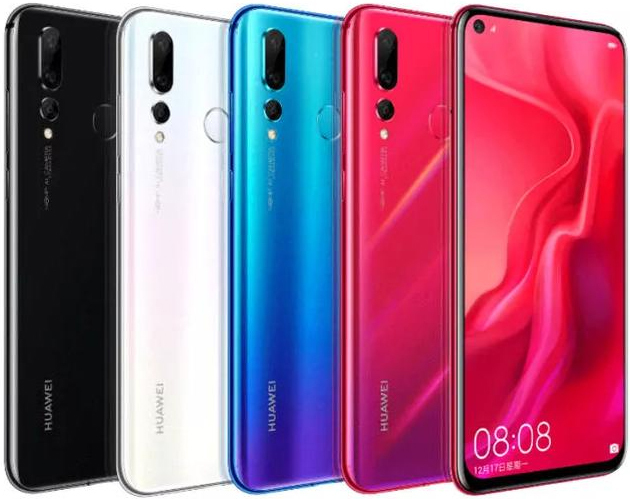 Huawei Nova 4 comes with a triple camera setup on the rear panel. This setup includes a 48MP primary camera, a 16MP secondary camera and a 2MP tertiary camera. On the front, the smartphone sports a 25MP punch hole display camera. Under the hood, the smartphone is fuelled by Kirin 970 chipset which is coupled with 6GB/8GB of RAM.